This durable textured plastic and aluminum case is designed to store and transport up to 358 Copic markers, plus a variety of art and crafting supplies. 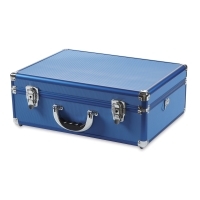 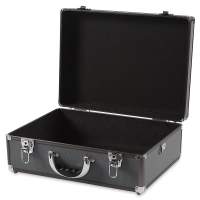 Available in two colors, the case measures 13½"W × 18¾"L × 7"D and features reinforced corners, two secure clasps, a molded carrying handle, and a removable shoulder strap. 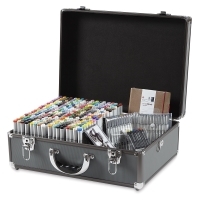 Designed to accommodate Copic markers, it works equally well with other marker brands.